As cities continue to recognise the health and environmental benefits of bicycle transport, more bike routes are opening up in our urban spaces to promote safe and enjoyable cycling. Adelaide is one of the cities leading the way and is increasingly recognised on the world stage as a leader in bicycle transport. 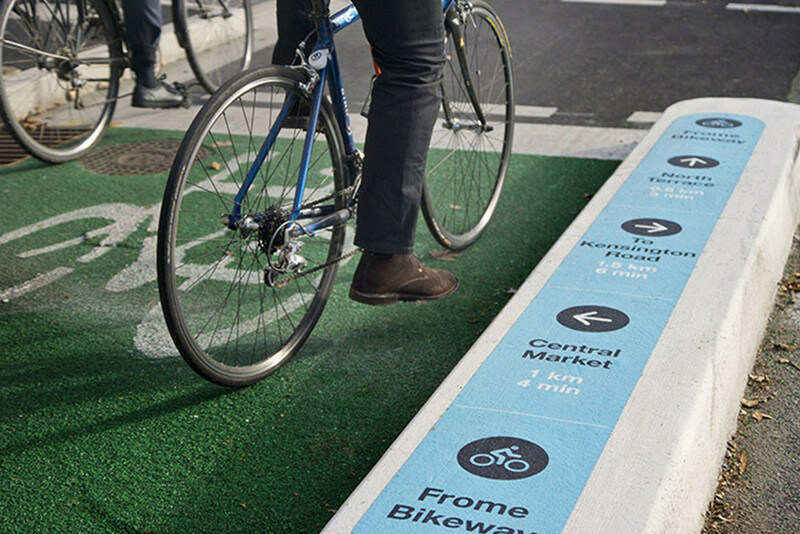 ASPECT Studios and our locally based wayfinding and graphics studio, Urban and Public, has been instrumental to the success of some of the city’s bike routes. The South Australian Government, in association with a number of local authorities, have implemented a series of key bike routes extending out of the Adelaide CBD. The first cab off the rank was the City to Belair Link, which connects the Frome Street Bikeway to Belair in the Adelaide Hills through the creation of a 13km dedicated bike route. 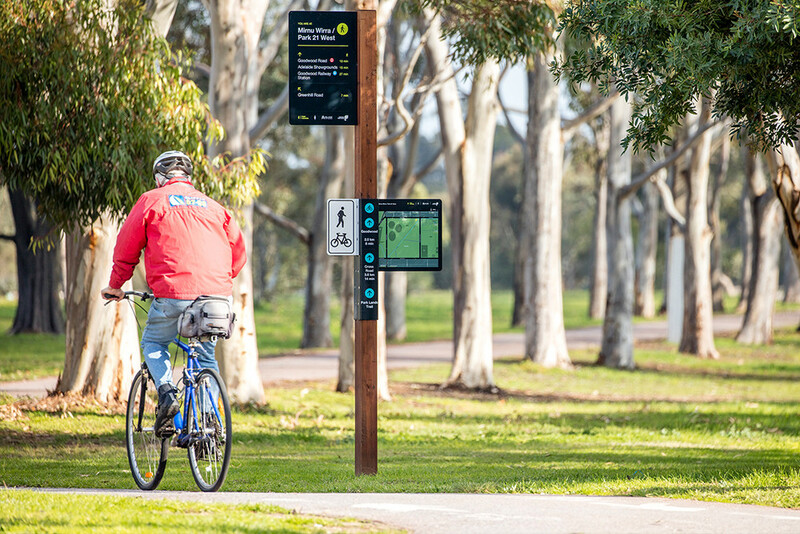 Our Urban and Public team developed the wayfinding and signage strategy for the Adelaide City component of the bikeway, which has subsequently been extended through the cities of Unley and Mitcham. A focus on cycling is also happening in Adelaide’s east. The recently completed award-winning planning study undertaken by GTA consultants, which includes urban design input from ASPECT Studios, looks at a transformation of Beulah Road into a bike-friendly corridor, providing a vital east-west link from the City to Magill. Planning is continuing on the extension of these key arterial routes both north and west to complete the network. 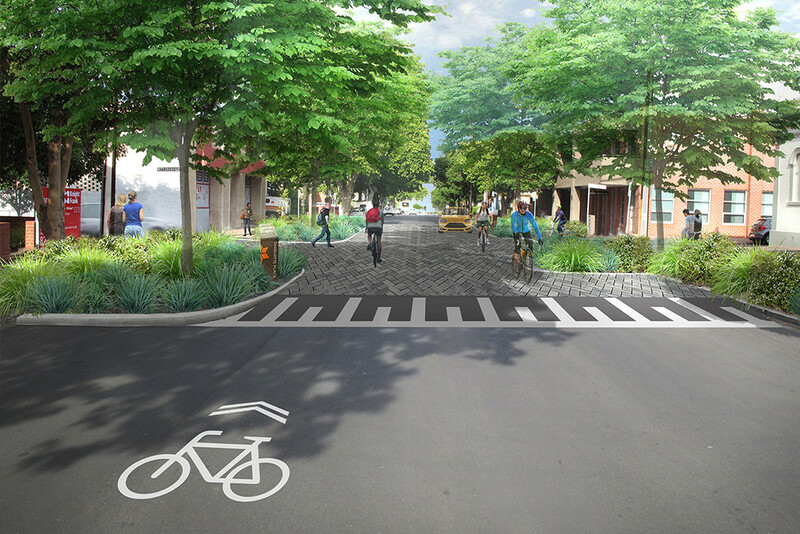 The aim is to create key bicycle transit corridors to further improve the city’s commuter and recreational cyclist capacity. 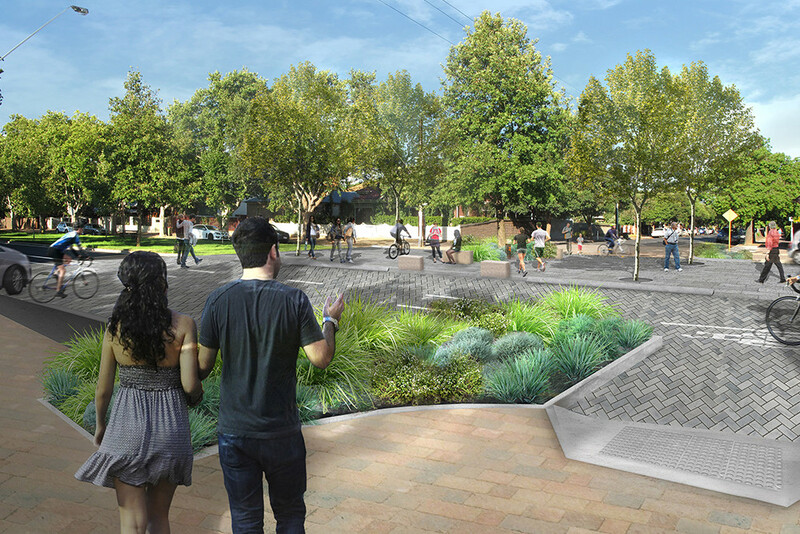 These projects will significantly improve the urban environment by revitalising the streetscape and activating key Park Lands destinations. Major open spaces within the Park Lands that are benefitting from this increased cycle activity include Park 19 (Pityarilla) - or as it’s most commonly known, Marshmallow Park. ASPECT Studios, in collaboration with Adelaide City Council and the State Government’s Office of Design and Architecture, is leading the transformation of this key urban play space. The wheels are officially in motion!